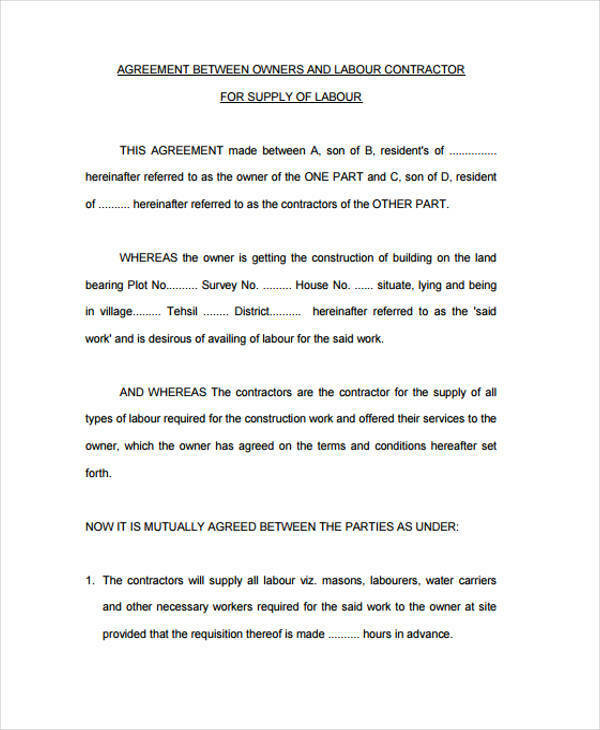 A labor contract is an agreement between an employer and employee. It is used to legally stipulate the rights and responsibilities of both employee and employer to a bargain. 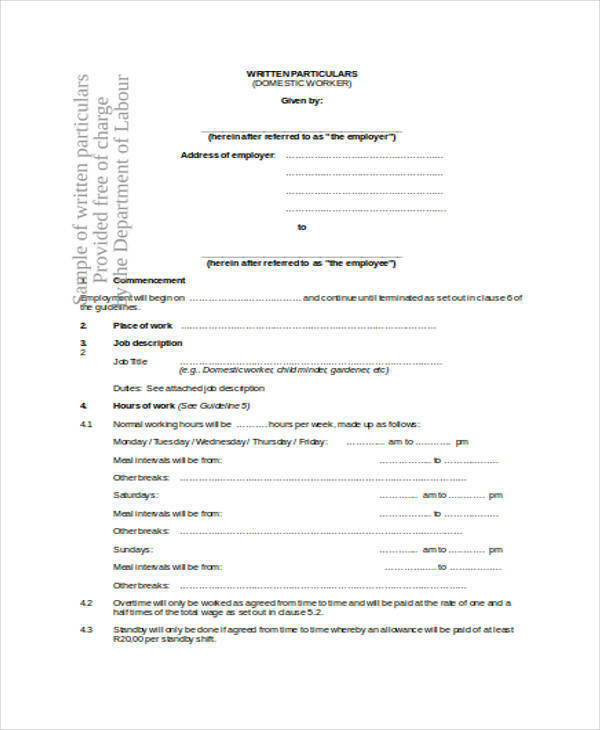 Another term for a labor contract is employment contract. It is also used as a contract in business lawsuits. 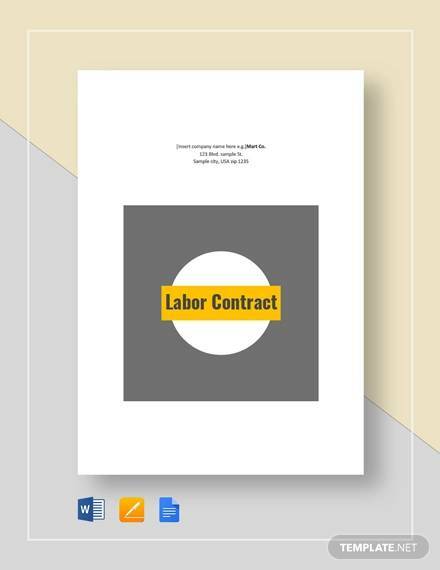 The essential elements of a contract should be clearly written in order to make a an effective labor contract. 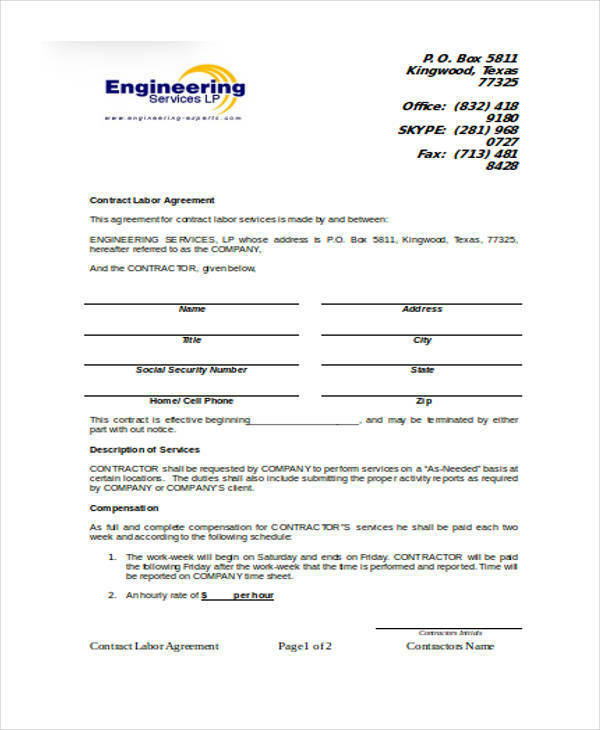 All these essential elements are included in the labor contract templates. The good thing is they are available for download online. What an easy way to get a labor contract template. Download now! 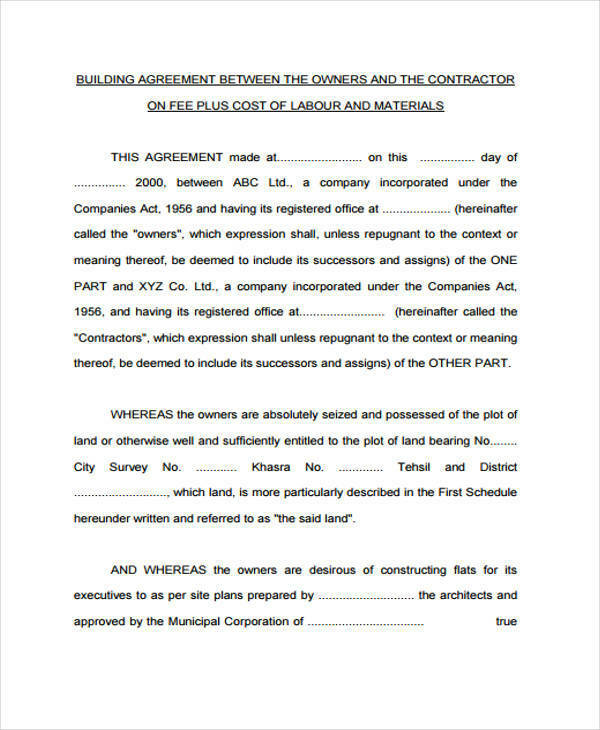 Write the title of the contract agreement on the upper part of the document where it can be seen and read clearly. Write a little something about the basic information, like the date, location, and the name of the project. The description of the the contract should be exactly stated in it. 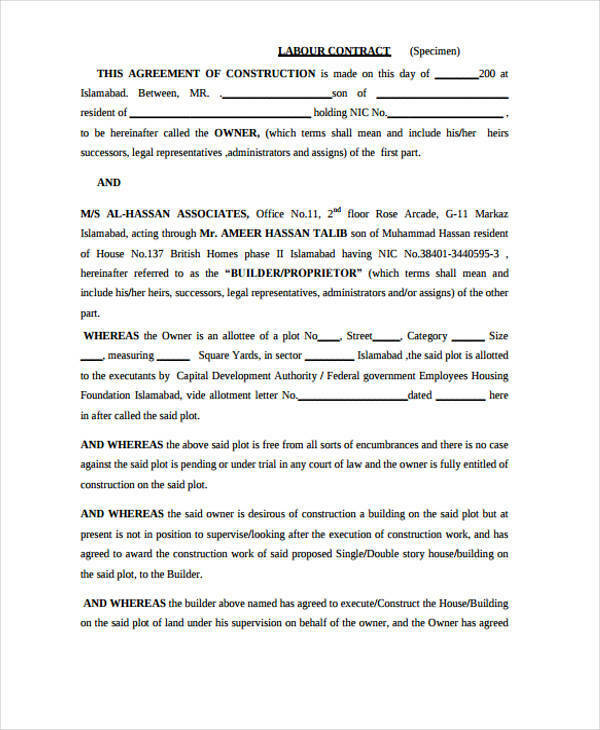 The description of the materials, tools, and equipment to be used for the project should also be included, as in a construction contract. Write the details as specific as possible. Provide a precise description of the work that should be done. Include the details about financial stuff. State clearly the payment process and other fees that are included, like in a contractor Invoice. Include ways to handle and fix disputes or claims. Provide a space for the signatures. 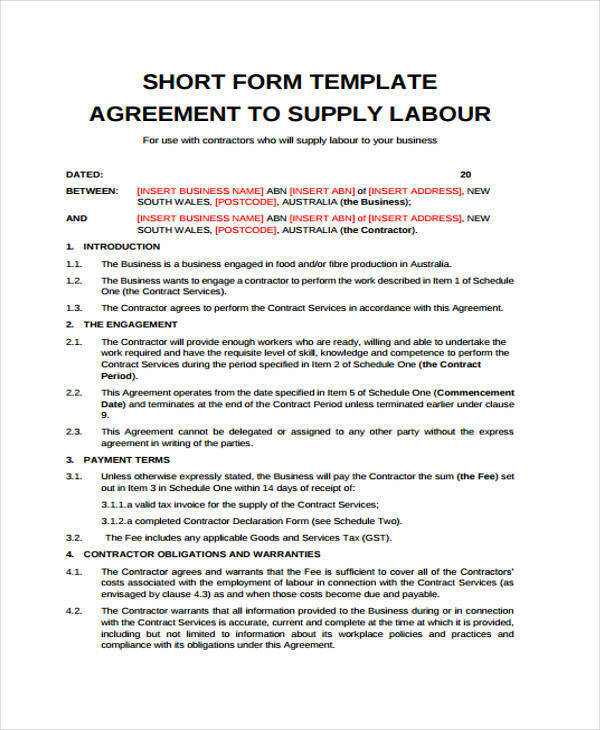 There are certain elements that you need to consider when writing an agreement for labour contract. Discussed below are the elements of a labor contract. 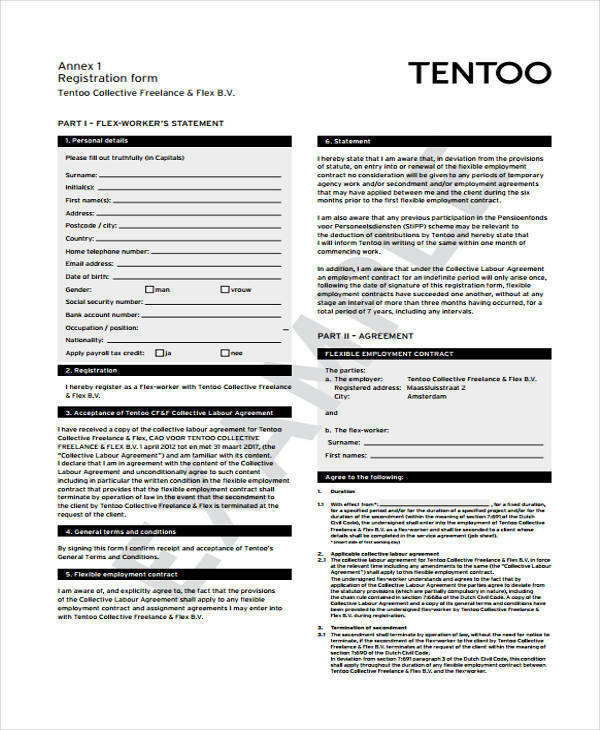 You can also check a contract sample. In every employment contract, it is very important that the position being applied for is defined. The new employee should be provide with a clear description of their duties and responsibilities, as well as their job title in the company, just like in a job agreement contract. It should also provide details of the work hours and location where the employee will report to work. Another important element is the length of the contract. There should be start and end date of a contract and it should be favorable to both parties. You should also include the performance that you expect from the prospective employees or the new employees. That would be through metrics, like quality and production. Performance expectations vary from one company to the other, and based on the nature of the job. The terms and conditions of the employment should also be added.